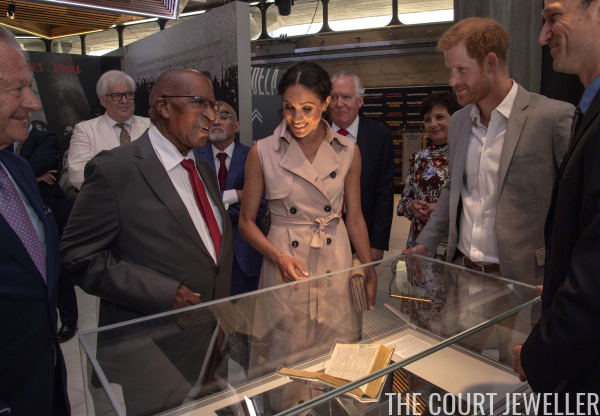 The Duke and Duchess of Sussex headed to Southbank Centre's Queen Elizabeth Hall on Tuesday for a visit to the Nelson Mandela Centenary Exhibition, which explores the life and times of Nelson Mandela and marks the centenary of his birth. While there, the couple met with people close to Mandela, including anti-Apartheid activists and those who were imprisoned alongside him. 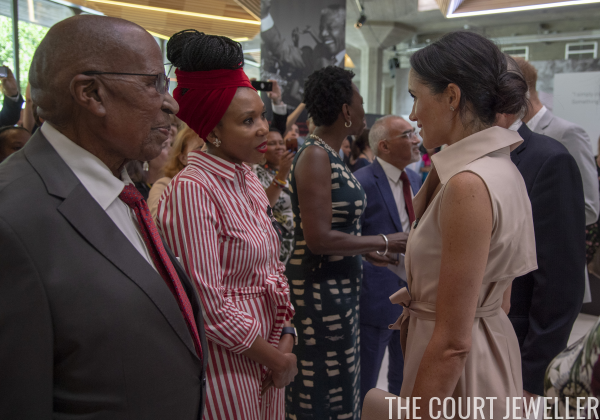 One important fellow attendee was Mandela's granddaughter, Zamaswazi Dlamini-Mandela (who wore a lovely pair of fleur-de-lis earrings!). 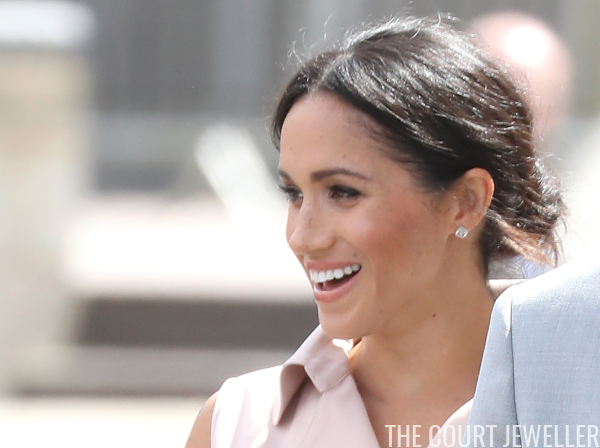 For the occasion, Meghan debuted a new pair of earrings from her favorite jewelry firm, Birks. These are the brand's Bee Chic stud earrings, which are made of sterling silver and set with white quartz. 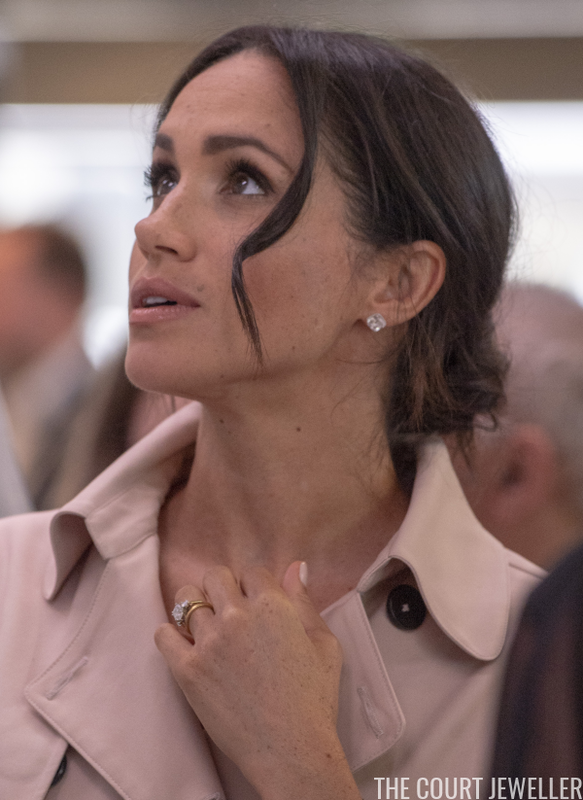 Meghan also wore a slim gold bracelet on her right wrist and several of her thin gold rings on her right hand. 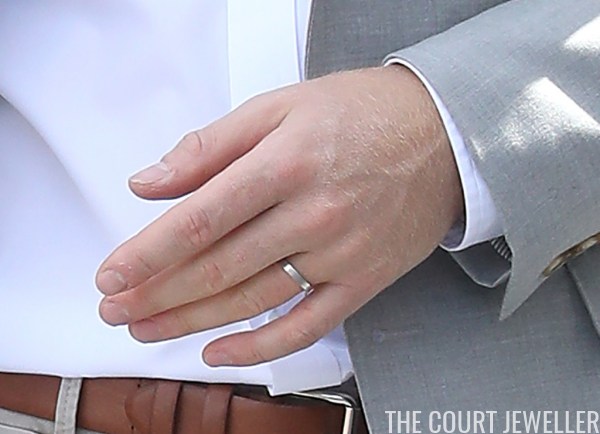 Just for fun, here's a close-up of Harry's jewelry for the day: his wedding band! Looks like the sizing may still need a slight adjustment? 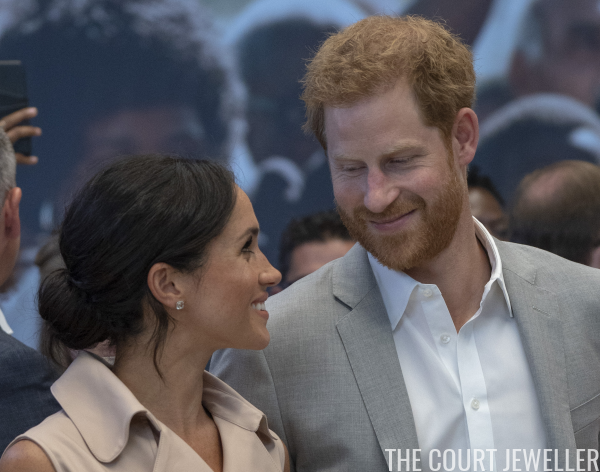 One thing's for certain: these two are still very much enjoying their time together.